Q 2: What is Ulleungdo's largest neighboring island? 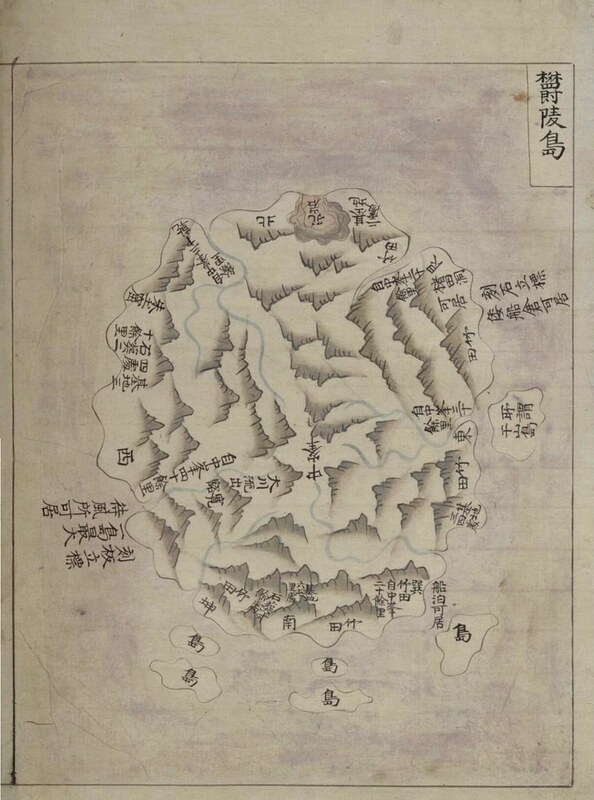 Q 3: Why did old Korean maps show Ulleungdo as two islands? Q 4: Did King Sejong's geography text mention Dokdo? 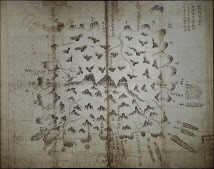 Q 5: Did Korea's 1530 "Sinjeung Dongguk Yeoji Seungram" mention Dokdo? 1794 - June 3 - "正祖実録 正祖18年6月3日条" Gajido(可支島) was described as a place on or near Ulleungdo, not Takeshima/Dokdo. Korean Imperial government officially acquiesced the Japan's sovereignty over Takeshima/Dokdo by not expressing protest against Japan. 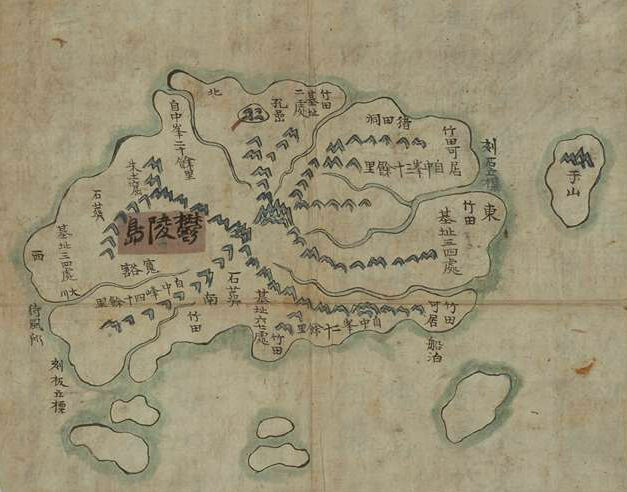 1457 - Apr 16 - "The two islands of Usando and Muleungdo are suitable for settlements." 1699? - Today's Kwannundo(観音島) and Small Udo(小于島) in 「欝陵島図形」 by Choson Official Inspector, the Identical Figures. 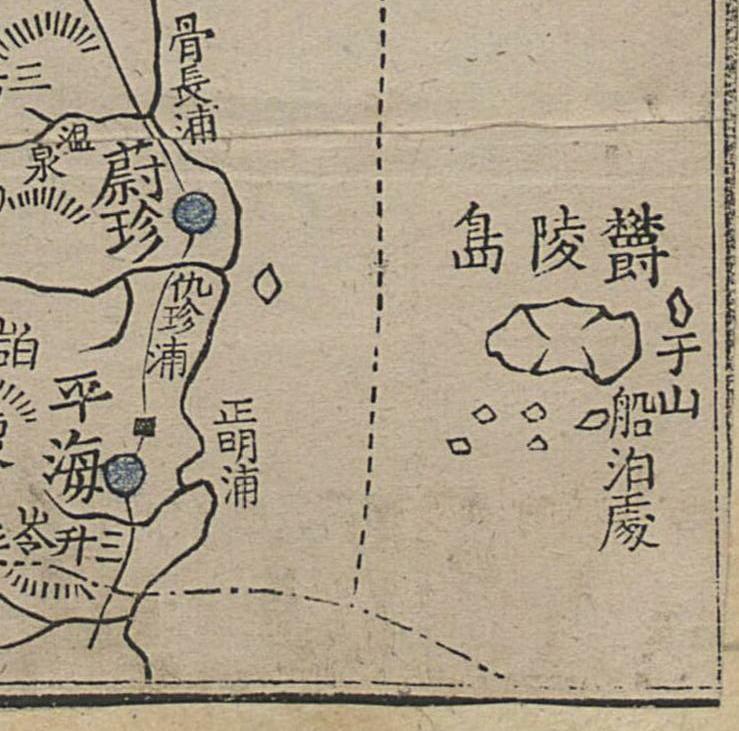 1807 - San-in Chuo Shimpo: "Usando (于山島) = Jukdo (竹嶼), Documented for the First Time"
1823 - "Haedong Yeoksa sok" (海東繹史續) - "萬歷二十五年倭分屯松島蔚山釜山鎭書 謹案文獻備考于山島卽倭所謂松島也 輿地勝覽 于山鬱陵本一島..."
1861 - "Dae Dongyeo Jido" (大東輿地圖) with Unique "Index Map"
1892 - Podzhio "Overview Korea" - Russian Diplomat dropped Takeshima/Dokdo from Gangwon-do. 1905 - Mar. 15 - (隱岐新報): Japan "officially" incorporates "Takashima"
1905 - June 2 - 皇城新聞 : Korean called "Liancourt Rocks(リアンコルド岩)" as "Angohu島", not "Dokdo", Seokdo nor Usando. 1905 - June 3 - Japanese Magazine "The Chronicle of Japan-Russo War (日露戦争実記)"
1905 - June 5 - Tokyo Asahi Shimbun Corrected "Liancourt Rocks" as "Takeshima"
1905 - Aug 11 - "日本民族の新發展 滿韓露領地誌"
)" - Japanese Resident-General made inquiry about Uldo County, not Ulleung Island. 1934 Jan 30 - "Maeil Sinbo" - Article on Ulleungdo "鬱陵島란 엇더한 곳인가"
2008 - Oct. 3 - Japanese Government officially made Cabinet Decision "It is apparent that Takeshima is an inherent part of the territory of Japan." 2008 - Dec. 10 - South Korea' Expansionism/Territorial Ambition never dies. 2009 - Feb. 22 - Happy Takeshima Day! 2009 - June. 13 - Former Shimane Gov. Sumita Nobuyoshi (澄田 信義) passed away. 2009 - 17 July - Japanese Defense White Paper claimed Takeshima is an inherent part of Japan. 2010 - Apr 10 - Japanese Ministry of Education approved all textbooks which mentioned Takeshima as its sovereign territory. 2010 - May 16 - Foreign Minister of Japan instituted Takeshima Issue to the Foreign Minister of South Korea. 2011 - Aug.3 - Yonhap --"Dokdo ferry operator imposes ban on Japanese passengers"
Dong-a Reports Discovery of a "Dae Dongyeojido" Map Showing "Dokdo"
"'Flash Patriotism'--Dokdo Bonds Gone After 5 Years"
How should 大東輿地圖 be translated in English? Columbia Univ. Professor: "Kim Jeong-ho had absolutely no concept of Dokdo"
What happened to our "hit counter"? Is the Dokdo-Takeshima debate still alive in Japan? 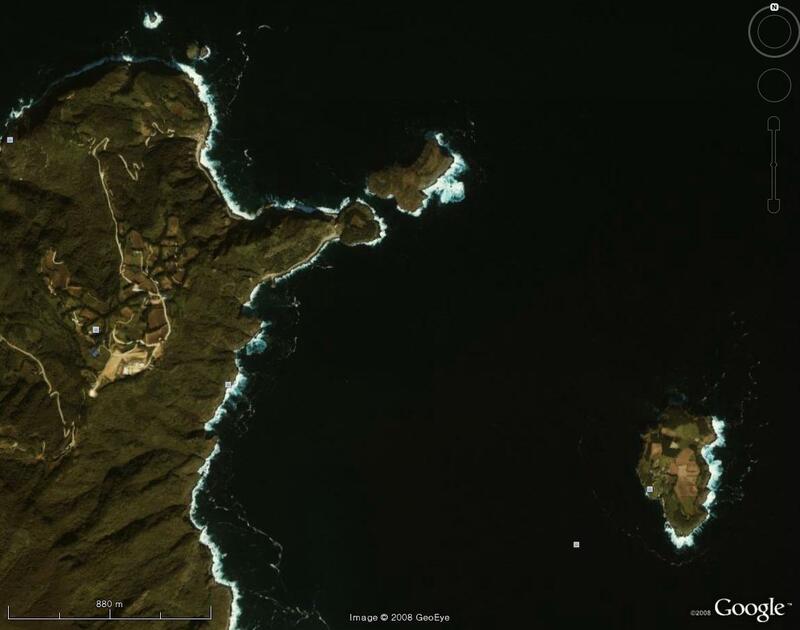 Yuji Hosaka: "Born to Defend Korea's Dokdo Claim"
New Survey: Is the Korean government telling its people the truth about Liancourt Rocks (Dokdo)? KBS NEWS: "Dokdo Protector 'An Yong-bok Foundation' Sets Sail"
English Web Sites Supporting Japan's View on Liancourt Rocks? "Old Japanese Document Shows Dokdo Is Korean Territory"
A Korean Song: "Do you know Dokdo Island?" Review of Korean Documentary, "Sorry, Dokdo"
"New high school draft curriculum avoids islets row"
Has Toron Talker changed sites? "S. Korean Lawmakers to Visit Washington Over Dokdo Issue"
Has the Dokdo Guardian stopped guarding Dokdo? "Addressing Japan's Dokdo Disease," by Kang Chun-suk"
Korea Protests the Mention of "Dokdo" in Japan's Defense "White Paper"
New Poll: How should the dispute over Liancourt Rocks (Dokdo/Takeshima) be settled? Reuters: "S. Korea steps up defense of disputed islets"
KT: "Japan Renews Claim to Dokdo in Defense White Paper"
NYT: "Desolate Dots in the Sea Stir Deep Emotions as South Korea Resists a Japanese Claim"
IHT: "A fierce Korean pride in a lonely group of islets"
AP: "SKorean emotions run high over island dispute"
"Projects Unveiled to Reinforce Sovereignty Over Dokdo"
Korean Times: "Dokdo Research Institute Opens"
Wow! Even More Ridiculous Claims. A New Version of the Dokdo Song? Does Japan also have a Takeshima song? Another Picture of the Map Mural at the "Blue House"
"70% of Japanese Think Dokdo is Theirs: Poll"
President Bush: "I know Dokdo Island." Korea Times: "Teacher's Guidebook Alleges Japan to Claim Dokdo"
A Russian businessman published a book for appealing restoration of four islands of Kuril to Japan. Are Google & Korea conspiring to hide "Jukdo" (竹島)? Korean news site displays childish nationalism. Did Koreans elect another lamebrain president? 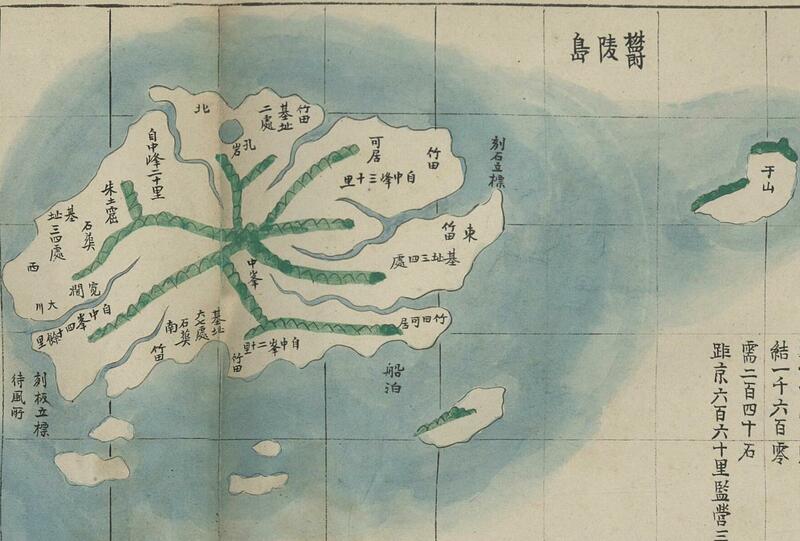 Any Info on this Japanese Map (實測朝鮮全圖, 1894, 宗孟寬)? Lies, Half-truths, and Dokdo Video, Part 4 : 1794 Ulleungdo Inspection "Gajido (가지도) and more dead sea lions"
I hope all the new comers will be interested in every article. Are you talking about compensation? Are you talking about forceful overtaking? And if you ain't, I don't know if the articles you found are true in any manner, but would you say that the US should belong to England cause it was England's like 500 years ago? Look, making Japanese bad doesn't help Korean look better anymore. Actually, it only reveals the fact Korean are avioding from the truth to the world. Grow up and face the music of what you have done. When it comes to Takeshima/Dokdo issue, it is Japanese civilian who are victims. Korean owe astronomical amount of money to them. kaneganese, I'm only using the history/victim card cause obviously, your whole blog is using it. When looking solely at the Dokdo/Takeshima issue, Korea MAY owe Japan astronomical money, but since the Korean/Japanese government is paying, which government do you think owes the other more? You have managed to accumulate lots of info on your blog, and I applaud that, but I have to say, I can't help but feeling that the blog is biased. I bet if there was a Korean blog like this, it would be as biased too. All I'm trying to say is that if you're trying to persuade people that Dokdo/Takeshima is Japan's, then you shouldn't use the history/victim card, cause man, you know that Japan owes much more to Korea. "...guess I do check this blog again..."
By the way, I don't think Japanese government is demanding compensation from Korea. I am telling this because I'm so surprised to know that almost none of Korean know the fact many Japanese civilians are killed and injured during their invasion on the island. Korean should now the fact that they are not always the victim in the history. When it comes to Takeshima/Dokdo issue, they were aggressor, and by the international law, it is illegal. You've referenced many western maps; in my opinion, until end of Japanese colonialism in Korea, western part of world did not have much contact with Korea. Korea was known as "hermit kingdom" in the West due to closed door trade policy. In fact, William Griffins’' author of 1882 book Corea:The Hermit Nation, who never visited Korea and had no first hand experience with the county supported Japanese invasion and occupation of Korea by Japanese. Wouldn't that explain misinterpretation (bias) of geography by western map? Most of western world favored Japan over Korea due to trade. In fact, prior to mid to late 20th century, Korea did not welcome westerners. It appears you have done lots research and you’re intelligent person, but I only see issue in very biased Japanese perspective and left out relevant maps published by Japanese that shows Dokdo indeed belong to Korea as late as 1877, prior to Sino-Japanese war. Don't believe Steve Barber's site, which is full of lies. 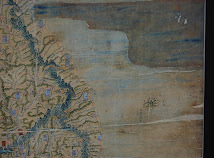 We showed various western maps from the 1890's here to show you the circumstance around the islands in the Sea of Japan. In those days, western ocean navigation ships were superior to Japan's or Korea's ships and they knew well about navigation and geography. It is important to know how they thought about the ownership of these islands as a third party. The important thing is that these western maps didn't show that Liancourt Rocks to be Korean territory and various geographical books (including Korean books) indicated that Korean eastern limit was Ulleungdo - Liancourt Rocks were no included in Korea. What claims do you have to say Steve Barber's site is lies? Just because Steve is telling the truth that you don't want to face, he's liar??? COME ON... Be real!!! His site actually has supporting documents(Great Job Steve!!!). This is just another example of when the true this presented, Japanese just doesn't want to face the facts. I find this blog site too dominated with stubborn people who do not want to face the true. I'm out of here!!! I can't even beleive that people who only read the Japanese side of the story but never even learnt North-East Asian history can say things that they don't konw about. I'm not Korean and i voted for Korea. Japan took over Korea by force and Killed, sloughtered, raped and also biological testing on Korean people for over 30 years killing over tens, maybe 100s of thousands torchered and sloughtered and you call them the force over taker?? you think Hittler was the victom in Euroup but think japanese are? because that's what Japanese did. the did the same thing what Hittler did to Jewish people. i think you should under stand that before the militarial ocupation, Dok-do was Korean terretory and also Japanese took over by force. The Japanese fishermen were on the other side of their national boarders and were chased out. what Koreans did was clearly getting their own land back form Japan who torchered them. I think you guys all should read the both sides. not whats popular(Japan). then "WHY" is Japan sugesting it's their terretory? well, because they bombed Pearl harbor, they couldn't recive long distance missles from America and Dok-do is a very tactical place to bome the main land of Korea. It may not be true, but there is also a theory that there is natural resource in the near by sea. and maybe it is their honor or something, but it is sure it is a very good place for bombing and miltary base. but, the Korea were on American side in the Korean war, so they have long-distance missle from America. I hope you know what's ture or at least read the both side of the story, not just Japan. oh, and did I mention I'm not Korean? and 'Why' would anyone say that their rescuer is the bad one? and the occupation was Illeagal. I think you people know a lot about Jewish holocoast than the military occupation in Korea that the Japanese did. I recomend you read or hear about it. YOu will find many common things between them. 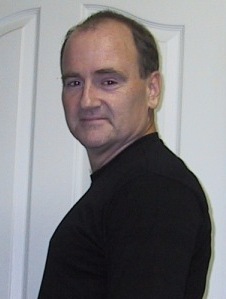 You should compare Steve's site with our site reading each of the corresponding topics. Please read all of the following and think yourself, which is telling the truth. Steve only showed the first document and jumped to the conclusion. We read all of the documents and considered what the "another island" means. Again he only showed the first part of the documents without considering what the document meant. Dear intelligent Korean people, please compare the sites without prejudices. Then you will find the truth. "Japan took over Korea by force and Killed, sloughtered, raped and also biological testing on Korean people for over 30 years killing over tens, maybe 100s of thousands torchered and sloughtered and you call them the force over taker??" Didn't you know that Chosun under the Yi Dynasty was on the verge of collapse before Japan made her a protectorate? Japan paid lots of money from Japanese citizens' tax to save Korea. And annexation was not always forced, there were Japanese statesmen who were against the annexation including Itoh Hirobumi (who was assassinated by a Korean before the annexation) and there were lots of Korean people who wanted annexation. The most progressive political party, 一進会, pleaded to both of Korean and Japanese emperors to annex two countries. It is the celebration after the annexation in Korea before the gate that was built by Korean party 一進会. As to the annexation, ther was no killing, no rapes, .... if you believe those kind of lies, you must have learnt in Korean school because only Korea is educating such a groundless thing. 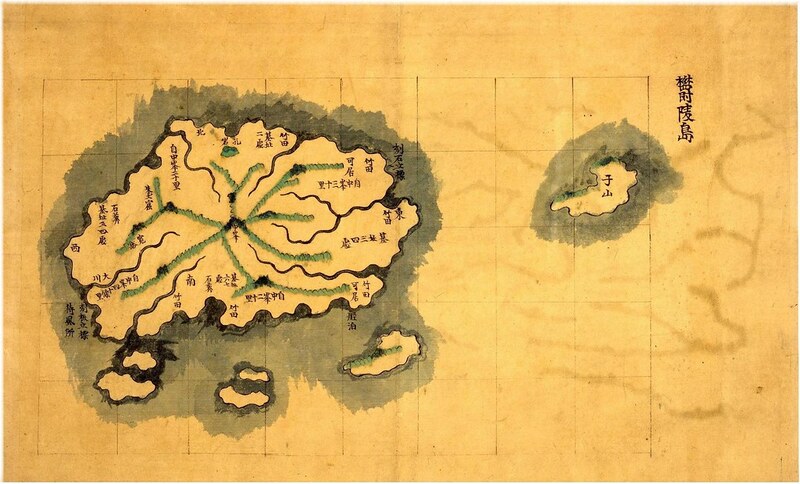 PLZ, find the island in the ancient Japanese maps..
Any ancient Japanese maps don`t have the island, but almost korean maps have it. a doubt of Kim jung ho`s map?? Why do you look at only a picture of the map?? he made two type maps. the one is a picture. the other is a writing. The writing absolutly has a dok-do comment that is ours. and why do you hide some truth? why do you avoid the report of Hungtaek Sim in 1906? Hungtaek Sim simply misunderstood about Dokdo. He didn't know where it was and believed the island he called "Dokdo" is a inhabitable island in 1906. I think he probable misconstrued Japanese Takeshima with Korean "竹島", Jukdo, which is 2.2km east from Ulleungdo and inhabitable island. In fact, Korean Imperial didn't make any official report after they had received the report from commander of 春川. It is highly likely they realised it is not their Usando, but the remote island which they didn't know, but happened to share same name "竹島". 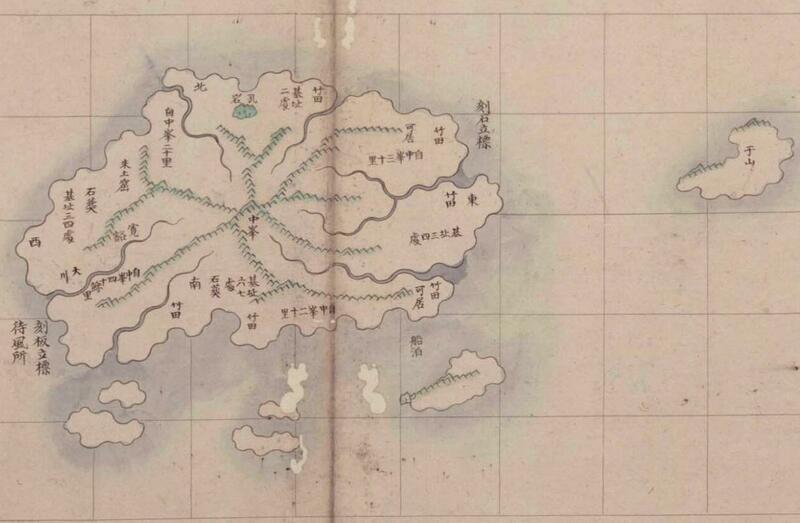 If Shim really meant "Dokdo" in his letter as today's Takeshima/Dokdo, he should have written it as 石島, which is supposed to be their island by the Imperial Edict no.41 in 1900. However, he has written it in Chinese 独島, not 石島. On top of that, 皇城Shimbun in July 1906 shows us that Imperial Ministry of Internal Affair of Korea officially answered to Japanese Resident-General that Takeshima/Dokdo was outside of Uleudo County. in other word, Korean government officially declared it is not their territory. PLZ, find the island in the ancient Japanese maps.."
There is no real "ancient" maps which show Takeshima/Dokdo in both countries. However, Japanese documents clearly record that Murakawa and Ohya clan of Yonago, Tottori started to use the island economically around 1850s. 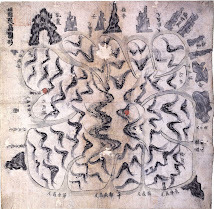 This is the first and oldest map ever which depict actual Matsushima(today's Takeshima/Dokdo) precisely, found in the world so far. And this is not the only one which depicted Matsushima. There are plenty. On the other hand, there is absolutely no Korean maps which has today's Takeshima/Dokdo accurately described before 1960s. 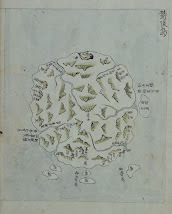 All the Korean ancient maps which Korean claim as proof simply show that Korean back then had no practical knowledge of the island in the Sea of Japan, and confused about the numbers and even the location of Ulleungdo. As to Sim Heuntaek, he reported about the Japanese envoy to the local government and the local government sent the same report, almost the carbon copy of Sim's report, to the central government. The central government ordered to investigate what the Japanese envoy did and the details about the island, but after that no orders reported, no claims were made to Japan. Oops, Kaneganese already answered the same thing. Sorry. but I think that you have a only Japanese friendly or anti Korean opinion. Why am I saying like this? Bcz you only like and read only until a doubt..
almost maps was made by Japanese. They show that the past Japanese opinion of Dok-do. [출처] [제 86 문] Japaese 隱岐島司 (UN-GI-DO officer) of shi-ma-ne visited Ulrung govenment office. and he said that Dok-do is Japanese territory. Mr Shim reported it to Chun-chon mayor. Japanese office informed and he reported. he absolutely wrote our territory Dok-do. Why couldn`t Korean goverment say anything to world in 1906? The Korean goverment had been deprived of the right of diplomacy and military since 1905 bcz of the second treaty between Korea and Japan. this was the Ulrung`s reign area. This is not an Area comment. and [ri] is not for Area. Ulrung-do <-> Dok-do = 92km. Murakawa and Ohya clan story. Murakawa and Ohya clan of Houki..
it is a Japanese scholar`s saying. 拜領[Baeryong] means [receive] in ENG. but it has political meaning. [Baeryong] was impossible in that age. Japanese rule and Korean rule of meidival age was different with Western meidival history. All territory is for KING. It is a very funny translatioin. it means a slave country king. and they paid a tribut to Korea and China. at that time, Japanese RANK was so lower than korean one. RANK was a very funny story to westerner.I know. but it was a rule of EAST ASIA. How much do you know and understand Asian History? We are recovering our position and history fact from our history mistakes and Japanese lying. "almost maps was made by Japanese. They show that the past Japanese opinion of Dok-do." What you need to do right now is to look for Korean concrete evidence to show their effective control over the island, not Japanese maps, or you will not prove yourself correct forever. and he said that Dok-do is Japanese territory." No. He said "Our Takeshima(竹島) is now Japanese territory." Shim apparently mistook it as Korean Jukdo(竹島), which locates 2.2km east from Ulleungdo. Dokdo was a Korean name for Takeshima, but he didn't really know where it was and the geography. He thought "Dokdo/Takeshima" was inhabitable island, which is not true. As for the news paper article, please read the following post. "Murakawa and Ohya clan of Houki.. Houki didn`t exist then. it is a Japanese scholar`s saying. Naito Seichu." Houki (伯耆) did exist. It is one of the old country(伯耆国) of Japan. Naito only pointed out MOFA's tiny mistake because there were no Han(藩), or clan as Houki Han（伯耆藩） back then, that's all. You need to read carefully Professor Emeritus Naito's opinion. He used to be one of the lety activist of Shimane University and supposed to be a 金日成's sympathizer. He basically says there are no concrete evidence Korea had any proof of effective control over the island before Japan. He is only doing this since he dreams of overthrowing Japanes government and build a socialistic country like North Korea. 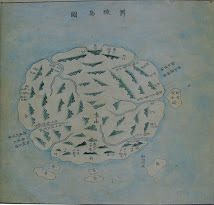 Ohya and Murakawa did claimed that they received(拝領) the islands from Shogunate. It was recorded in Japanese documents. I don't think it is a concrete proof that civilian owned the land but Japanese then did considered both islands within Japanese territory. In fact, other documents and maps clearly support this fact. it means a slave country king." I don't understand what you are talking about. I think you need brain surgery. I don't understand why Gerry allowed this comment neither. I have mentioned Sim Heung-taek before in posts, and I thought I had written about him before, but it may have been on another blog. Anyway, I want to do a more detailed post of him and his encounter with the Japanese officials. Anyway, the main problem with Sim Heung-taek's claim is that he did not know where "Dokdo" was. He said it was 100 ri (40 km) from Ulleungdo, when, in fact, it is about ninety-two kilometers from Ulleungdo. Also, Sim Heung-taek did not protest when the Japanese told him they had incorporated Liancourt Rocks (Dokdo/Takeshima). In fact, he even accepted and thanked the Japanese officials for the gift of a sea lion that was caught at "Dokdo." Why did Sim Heung-taek claim Dokdo was part of his county? I think it was because Japanese fishermen had been fishing Dokdo from Ulleungdo for a few years, and, therefore, he probably assumed it was part of Ulleungdo based on that fact. Why did Sim Heung-taek say Dokdo was only 100 ri (40 km) from Ulleungdo? I think it was because the Japanese had told him that it was 100 ri from Ulleungdo, and Sim Heung-taek mistakenly assumed they were using the Korean measure of "ri," instead of the Japanese measure, which was "1 ri = 1 km" by that time. After Sim reported the incident to his superiors, he was asked to investigate the claim further. In the meantime, Korean newspapwers reported the incident, which was probably the reason Japan's Residents-General in Korea asked Korea's Ministry of Interior to clarify what islands were neighboring islands of Ulleungdo. However, in her reply, Korea's Interior Ministry did not mention "Dokdo," which suggests that the investigation had revealed that "Dokdo" was much farther from Ulleungdo than Sim Heung-taek had realized and that it was not Korean terrority, but just a couple of barren rocks. The Korean Interior Ministry's response was reported in the Hwangseong Shinmun (皇城新聞) in a July 13, 1906 article, which was a few months after Sim had reported to his superiors about "Dokdo." You can read the article HERE. I did not know what Levis Kim was talking about, either, which was why I allowed his comment. I thought you guys might know. I think that you put a veto on all Korean information. Why don`t you talk about Jungho Kim`s writing style map?? The document Number is 292,1038 ki 229 d. and It is kept in Japanese Congress library. and why can`t you believe other countries information, including Japanese one? Do you want to see European map? If you are talking about Kim Jong-ho's 1863 Daedongjiji (大東地志), I have translated the geography part for Ulleungdo HERE. Ulleungdo is in the sea due east of this “hyeon” (縣) and is the old Usan 우산 (于山). Other names are Muleung (武陵 - 무릉), Uleung (羽陵 - 우릉), and Uleung (芋陵 - 우릉). It has a circumference of about 200 ri, and the distance from east to west is about seventy ri, while the distance from north to south is about fifty ri. Three dangerously high peaks tower above the island and are pure rock. If you climb up to a high place on a clear day and look into the distance, it [Ulleungdo] looks like a shimmering cloud. With a fair wind, it can be reached in two days. The Japanese call it Takeshima (竹島 - 죽도) and it is close to Japan’s Oki district. Japanese boats occassionally come to fish (倭舡漁探者時到). From the central peak, it is about thirty ri to the shore due east, forty ri due west, twenty ri due south, and twenty ri due north. The are six to seven streams, five to six bamboo forests, and dozens of [old] dwelling sites (居址). There is Jeojeon-dong (楮田洞), Gong-am (孔巖 – "Hole Rock"), Jutogul (朱土窟 – "Red Earth Cave"), “seokjang” (石葬 – stone-piled graves), old boat houses (古址船泊處), and “places to wait for fair wind” (待風所). 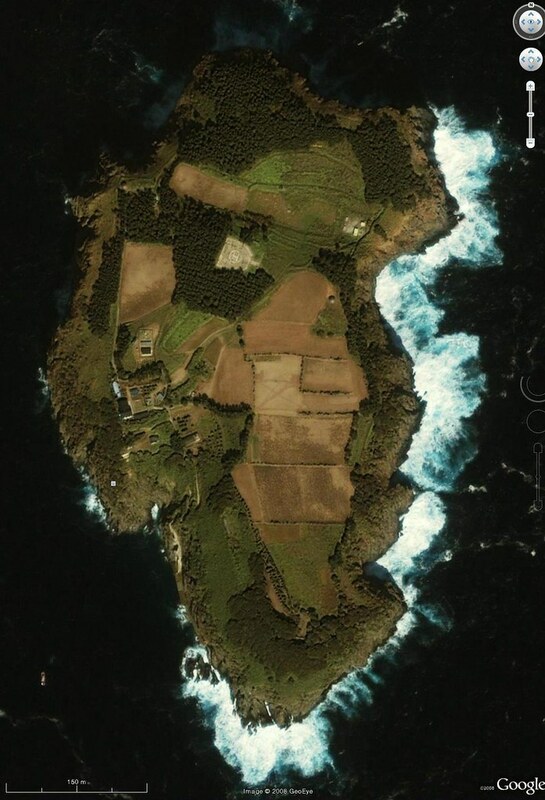 On the south side of the island are four or five small islands. The center of the island is all deep valleys with streams and rock cliffs. There are many cats and rats that are so big they are unrecognizable. [狙 means “monkey,” but it was probably supposed to be 猫 (cat).] There are also runaways (避人). There are peaches, plums, mulberry, edible herbs, rare trees, and many strange, unknown plants. Can you explain exactly what you are talking about? Do you think the "Takeshima" reference in the document is a reference to "Dokdo"? If you do, then you are wrong. Takeshima was the name for Ulleungdo in 1863. Liancourt Rocks (Dokdo) was never referred to as Takeshima until 1905, which Japan incorporated the islets. Can you explain Japanese and european maps that is including the imformation of korean terrotiry Dok-do? everything is mistake?? Japanese evidences are so fewer. what do you think that Japanese maps?? They didn`t think Dok-do is not their territory..
Any Japanese maps and books including schoolbook didn`t have it. but Korean recorded it. U-san-do. I understand your difficultness to understand my saying. My English is not fluently and I changed little sensitive. When korean hear Takeshima, we recognize our bad choice and historical mistake. so we changed sensitive and we lose our control. I think that old soldiers who killed poor pheasants are same. Anyway It is crazy works. I know. most of korean people blame them. I think that all country has crazy right wing men. Anyway I want you guys to have a balanced view of Dok-do. I think he is talking about "Sinocentrism(中華思想 or 華夷思想)". But other than that, I have absolutely no idea except for the slander against Japanese Imperial family. Anyway, I don't think it has nothing to do with Takeshima/Dokdo debate. I guess he is only trying to show how Korea was "advenced" and gave cultures to Japan, which is not true and drag us into "(distorted) history lessons". "Japanese King called Emperor to Korean Kings and Chinese Kings and they paid a tribut to Korea and China." Are you talking about 足利義満, the Muromachi Bakuhu Shogunate(室町幕府将軍)? He did temporary tribute trade(朝貢貿易) between China, but it was not tribute with Korea. It has nothing to do with Japanese Imperial family. Unlike Korea, Japan has been free from Sinocentrism when they stopped sending envoy to Tang Dynasty China(遣唐使) in 894. That's why Japan didn't compiled authentic history book(正史) after 901, the year of "日本三代実録" was compiled. Usando is not today's Takeshima/Dokdo, but it was Ulleungdo before 1700s and Jukdo or flying island sometimes after 1700s. But it has never been today's Takeshima/Dokdo. And it was recorded as such in Korean documents. Even Korean scholars started to admit it. They admitted that, not all, but some Usandos in the maps and documents are not today's Takeshima/Dokdo. "Can you explain Japanese and european maps that is including the imformation of korean terrotiry Dok-do? everything is mistake??" There are no "Korean Dokdo" in any Japanese and European maps. BTW, this is not a blog to talk about emperors and kings, but I would tell you that Japan had sent tributes to China during the Tang Dynasyty and the Sui Dynasty, but after those era, Japan left Sinocentrism and went their own way. So Japan could have their "emperor" not "king". In the Sinocentrism world, "emperor" was only one in China and tributaries could only have their "kings" who served for the Chinese emperor. Unfortunately, Korea had been a tributary to China (Ming and Qing) for about 500 years until Japan liberated her in 1894. There was a gate called 迎恩門 (영은문), The Yeongeunum (gate of welcoming imperial favors), in Seoul. Where the Joseon King welcomed embassies from the emperor of the Ming Dynasty. It was destroyed a year after the Treaty of Shimonoseki in 1895. Located just outside the West Gate (敦義門) of the walled capital city. On the road to Beijing as an adjacent to the Mohwgwan (慕華館), literally hall of longing for China. It's nearest post station was the Hongjewon (弘濟院). Embassies were occasionally sent to Joseon by the emperor of the Ming Dynasty to announce imperial succession, investiture of a crown prince and others. When they reached the Hongjewon, they took off their traveling clothes and changed into formal attire. The next day, they received a reception from the king himself in front of the gate. The rite performed by the king two times in history of Joseon. After Ming China envoys move off to the gate, King Jungjong performed a rite named "wu bai san koutou" (五拜三叩頭) with the crown prince and his followers, in direction of the Ming Dynasty emperor. After Japan defeated Qing in 1894, Korea was liberated from China and they became to have their own "emperor" - so they could have "Korean Empire" for the first time. When they created the empire for the first time, they asked Japan whether they could put "Great" （大）as a prefix to the country name as Japan did (大日本帝国, The Great Empire of Japan), Japan said yes, so the official name of the country became 大韓帝国 (The Great Korean Empire). He defeated Chinese finally. but we had fought against Chinese Empire for 1500years and we won most of wars. What country can live without nature help against 1,000,000 chinese soldier? most of countries and races disapeared and absorbed to CHINA. and JO-SON DYNASTY has one record that it is called Jo-Sun-Wang-Jo-Sil-ROK. the record consist of a lot of books and letters. Japanese King`s letter always was written. Jo-Sun Emperor....this is presents. so Jo-Sun government thought that because they don`t know the rule, so they called us Emperor. Anyway Japan were just an outsider. After Western advance to EAST ASIA, Japanese wanted to be Preussen. so they changed their history. 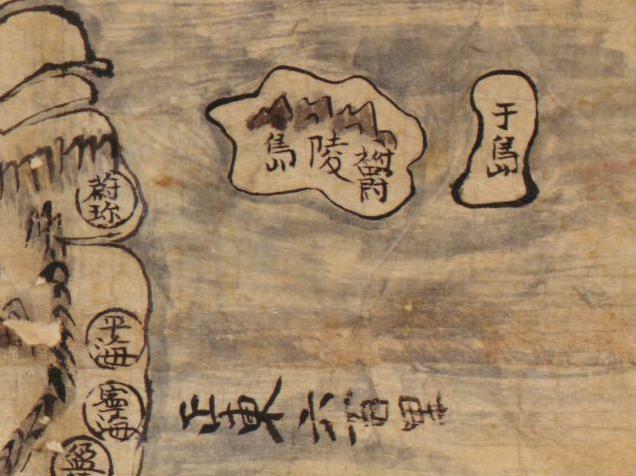 this map was made in 1737.
and your Chinese letter is the Japanese style. Japanese Chinese letter is different with original Chinese letter. you guys only see the Japanese information?? They prove that they notified that Takeshima is Japan Territory. because of being ownerless in 1905. They prove that Takeshima has been their territory from the past. they gave a licence crossing the sea to Dok-do. It was their territory. but licence crossing the sea?? If you want to convince someone, especially us on this blog, you need to present concrete evidences, or at least show us the original documents you are talking about. And please write in Chinese as well, or I can't understand which documents or which King you are talking about. If you are talkin about 朝鮮王朝実録, almost all the original documents are open to the public on the net. You can easily get access to the site and get the original documents. Show us the link to support youy shabby logic. But remember, we can read 漢文. But basically, your arugument seems to have nothing to do with Takeshima/Dokdo issue. It seems just a ranting by whom cannot arugue logically. So stop ranting about your country's delusional history. As for the French Map "Rroyaume de Coree(1737)", read the following. A French geologist D’Anville’s “Map of Joseon(Royaume de Coree)　NEVER records Lianocourt Rocks(Takeshima/Dokdo) as a Korean territory. 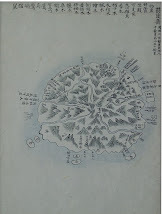 They are not Ulleungdo and Usand, but Thian Chan tao千山島　Fan-Ling tao江陵島（Ulleungdo） from Chinese map. Takeshima/Dokdo was not discovered by westerners until 1849. Next time, please bring Korean map for the evidence, otherwise, I consider you admit there is none. Japanese was the only one who had been using the island for the economical activity since 1650s. 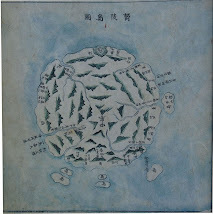 When Meiji Restoration occured, Japanese confused the location of the island from the mismapped Western maps. But in 1905, Meiji government accepted the plea by Nakai Yosaburo who wanted to control the excessive sealion huntings by Japanese fishermen, and incorporated Takeshima into Shimane Prefecture of Japan officially since there were no trace of other countries occupation except Japanese fisheremen's hut for sealion hunting in 1905. They were fighting war against Russia. Japanese needed to officially announce its sovereignty to the world. Japanese have been considered it to be Japanese territory from 1600's, but under the international law, they needed to incorporate officially so that no other country like Russia, British wouldn't claim it. Japanese officially incorporated Takeshima. "1905 - January 28th: the dicision by a Cabinet meeting （閣議決定）"
And this is totally supported by the fact that there Korean, Japanese and Western documents clearly excluded Takeshima/Dokdo from Joseon/Korea's territory. Korean Eastern limits described in various books exclude Takeshima/Dokdo from Korean Territory. "they gave a licence crossing the sea to Dok-do." The Ulleungdo and Takeshima was luclutive so Ohya and Murakawa clans were allowed to dominate the economic activity by the Shogunate. The licence was issued for the dominance. Nothing illogical. By the way, do you mind my asking if you are an adult or not? You seem very young to me, but recent incident surprised me that some Korean adult act extremely chldish and incapable of writing logically. I understand you because Korea is still refraining from educating true history of Joseon. And I know that history is not a theme of this blog so I will make it end with this posting, but Korean history is related with your understanding of Takeshima/Dokdo issue and you should know about true history of your own country. So please read the following. The Yi Dynasty was a tributary to China, Ming and Qing, for 500 years because Yi Dynasty was built with a help of Ming and Joseon was defeated by Qing although they fought agaist Qing at first but lost (Qing made a stone statue to prove that Joseon would obey Qing forever but the fact about this statue is not taught in Korean school) and it was finally liberated by Japan in 1894. The Korean people celebrated the liberation - we have a photo of women marching to celebrate the liberation and as I wrote before, the 迎恩門 was destructed in 1895 after the Shiomonoseki Treaty. "I make this analysis for creating new culture and making advance by recalling, regretting and criticizing our history. First, our history was the history overwhelmed by the other nations or the history of depending on other nations from beginning to end as I said before. To our regret, we have never turned the tide during long history of the suffering. We have never presented the power of our nation to the outside world. And such invasions have been always caused by ourselves, neither by the geopolitical issue of the peninsula, nor by our lack of strength. Sometimes we made united efforts to prevent foreign invasions. But we often saw Korean people sold out to the enemy, or sit on the fence on. We have considered ourselves as the weak, and considered others as the strong. This is our worship of the powerful, our bad habit, and our evil legacy. We can not develop by ourselves without rejecting and changing these faults. Next, I want to talk about our fault of faction. It is too childish and too ugly to be found in the other nation. In this aspect, our ancestors were active comparatively and had malelike natures till the Middle age. But from the age of Chosen Dynasty, such natures were disappearing gradually. I think it is not necessary to explain what became of them for the rest of the day. Chosen Dynasty had been unfortunately ruined by spending her days in partisan battles. As described above, I can only say it is pitiful to analyze Korean history. In an historical period, we can find a great king or hero such as Sejong or duke of Lee. But when I take a global view of our history, I only despair darkly in open-mouthed surprise. If we Koreans really want to gain prosperity, we must reform our history above all. We should burn our history which is full of much evil. On the 8th of January, 1895, I witnessed a singular ceremony, which may have far-reaching results in Korean history. The Japanese having presented Korea with the gift of Independence, demanded that the King should formally and publicly renounce the suzerainty of China, and having resolved to cleanse the Augean stable of official corruption, they compelled him to inaugurate the task by proceeding in semi-state to the Altar of the Spirits of the Land, and there proclaiming Korean independence, and swearing before the spirits of his ancestors to the proposed reforms. His Majesty, by exaggerating a trivial ailment, had for some time delayed a step which was very repulsive to him, and even the day before the ceremony, a dream in which an Ancestral Spirit had appeared to him adjuring him not to depart from ancestral ways, terrified him from taking the proposed pledge. But the spirit of Count Inouye proved more masterful than the Ancestral Spirit, and the oath was taken in circumstances of great solemnity in a dark pine wood, under the shadow of Puk Han, at the most sacred altar in Korea, in presence of the Court and the dignitaries of the kingdom. Your using Chinese letters are Japanese style. The evidence of Japanese tribute to Jo-seon is plenty. Among of them, a popular thing is an elephant. If you want to know the fact of Dok-do, you have to understand Korea-Japan relationship on history. and 皇國史觀(a historical view of Japanese Imperialism). Why did Japan want 皇國史觀?? Why did Japan make Korea a sacrificial offering for 皇國史觀? 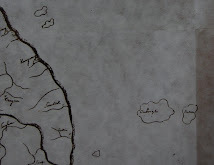 most of korean maps have the island. U-SAN-DO. I think that you already know it. and you don`t believe it.. So. I showed Japanese maps. why don`t you believe Japanese maps?? Japan is a nation concerned in direct. Their maps have a value for evidence. RIGHT? and the maps show that Dok-do is korean territory. Most of Korean records warned no permit Japanese fishery. look at this Japanese a written promise.. I believe your Chinese letter skill. Your objection is not enough to explain the Japanese IRONY. The Japanese IRONY is indicated from Japanese and Korea scholars. Yeah My ENG skill is the elementary school level. so sorry. All I can read is Japanese feudal lord gave presents for the exchange of 大藏經 when he return Joeson abductees who were taken to Japan. If Korea were supeorior, why those lords are demanding 大藏經 in the first place? How does it make Japanese "king" called Emperor paid tribute to Koean King? You need to learn Chinese grammer so that you will not get tricked Korean so-called historian. And stop ranting about the history which is unrelated to the issue. "江原道 includes 竹嶋, 松嶋. " This is the transcript of Ahn Yong-bok's inconsistant testimony. 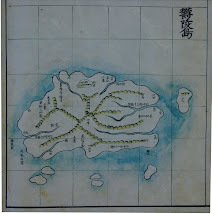 Ahn presented 八道総図, which depict Usando as Ulleungdo. 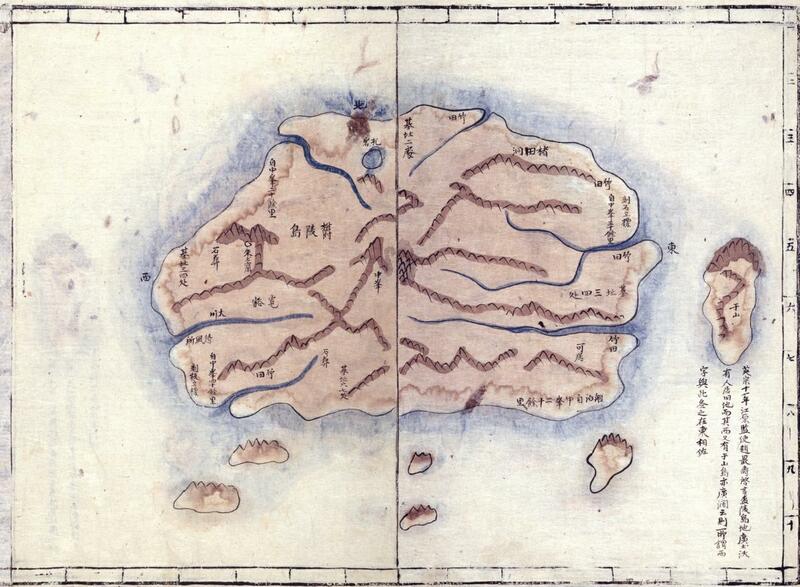 Japanese recorded what he said, but apparently, they considered it to be different island from Japanese Matshushima. Matsushima in this Ahn's testimony is not Takeshima/Dokdo. I already debunked Ahn's Matsushima theory. It turned out to be Jukdo. Your English is fine, but your logic is fallen apart. I just don't understand what you are talking about. You are only copy and pasting from other site. We've already debunked those claims. It's useless. Can you even argue what we have prestented? Use your own brain and read original documents, not the other's translation. 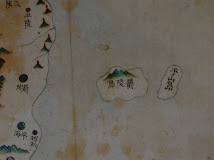 And show us Korean map which clearly depict today's Takeshima/Dokdo. Not Japanese map. Do you want to see more the tribute evidences and the calling Emperor evidences? I copied from the original 朝鮮王朝實錄. Does it have a problem? You don`t know that most of information of this blog are old for Japanese and Korean. Do you know [EnjoyJapan] that is auto-translation website? There were so many discussion of Dok-do and History between JPNese and KORean in there. now too. This written promise was written by Japan. As following your assertion that Ahn was misunderstanding, Japanese goverment wrote [江原道 includes 竹嶋, 松嶋] by themself. They agreed the 竹嶋 abandonment. They didn`t write Dok-do. Sok-do and U-SAN-DO. They wrote 竹嶋. <- important. RIGHT? I think that you can understand this logic. because it is simple. I agree that you have an intelligence about ASIA. but you were affected from 皇國史觀 so much. I understand that most of asian history book in western was based from Japanese-made introduction that was made in the early 1900.
so I think that your Asis intelligence is based on 皇國史觀. "Japanese goverment wrote [江原道 includes 竹嶋, 松嶋] by themself". But it was not true. It was a local officer who wrote down the memorandum, not Japanese government. It was a report based on their questioning the suspect (Ahn Yong-bok). It was just like the police made a report of what the suspect said. Please remember that Ahn Yong-bok was a criminal who smuggle himself into Japan. It won't prove anything about the ownership of Liancourt Rocks, it only proves that Ahn Yong-bok believed so. "Do you want to see more the tribute evidences and the calling Emperor evidences?" No. What you have to do is to explain how it has anything to do with Takeshima/Dokdo issue. "you were affected from 皇國史觀 so much." What are you talking about? You really are delusional. Or is this some kind of relision? I truly respect our loyal family as a symbol of Japan as our constitutional law define, and also very grateful that if it weren't for them, Japan couldn't have established such a wonderful mixture of traditional culture and modern technology country. But I don't even hoist the national flag on National Holiday. I don't even really know what 皇国史観 really means. All I say is based on fact, not belief. Anyway, stop talking about 皇国史観. It has nothing to do with Takeshima/Dokdo. What do you think of my post about Ahn's? How do you argue my point? Did you even read it? Gerry, could you please do something about his unrelated comments? His sneakly inserting Takeshima related issue into his comments doesn't mean he can comment anything, don't you think? 1. Shogunate already "banned" (note : not abandoned) Ohya and Murakawa clan to go to Ulleungdo(竹島) in Jan. 1696, which is before Ahn's second visit in May 1696. The memorandum was recorded then, so it has nothing to do with Bakufu decision. 2. Ahn's claim that he met the lord of Tottori, not to mention of Bakufu official is comletely untrue. Naito Seichu claimed its possibility, but recently, Prof, Ikeuchi totally debunked his theory. I'm going to write about his article which matsu kindly gave it to me. 3. Bakufu didn't even mentioned Matsushima in its order to ban the voyage to Ulleungdo, since Matsushima was not a issue of territorial dispute at all. Joseon dynasty didn't even know about Matsushima. All they knew was Usando, which was another name of Ulleungdo before they dispatch inspector and found Jukdo. 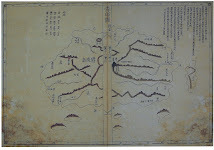 Since then, Joseon officials started to record Jukdo as Usando on their maps and documents. Other private map publishers followed. I`m sorry but I have a lot of experience to dicuss this problem with Japanese in EnjoyJapan. and I know that Japanese have a disposition to catch a speaking tail of the opponent. "Ahn's claim that he met the lord of Tottori, not to mention of Bakufu official is comletely untrue"
Do you know this Japanese book? the book has this comment.. I think that you can translate this easily. What do you think?? What happen existed in 江戶?? Anyway It is a good experience to discuss something on Eng. ah..Vank is a group of middle and high school students. so, Because They can`t explain well in Eng(I am same -.-), Anyway They like action. And Korea has a aggressive right wing, and a crazy self-styled scholar. but They can`t represent all Korean people. I think that It is a generalization error and All country might be similar. Don't "catch a speaking tail of the opponent". You should read all of the document before you claim. The Koreans were sent to 勝房, after that they were summoned to Tottori government. 勝房's 後見 Tobei went to the local government with sailors including Kurobei. While Koreans were on the way, they were tightly guarded. Both of 御組士 Mr Kano Yaemon and Ozeki Chubei went to Edo (or the local government) (出府), after the investigation of the Koreans they were put under the shogunate, that means the inquiry to Edo was completed (相済), then they became to send back. As details were written on another document, the rest is abbreviated. The two Korean including Ahn Yong-bok were not sent to Edo, but by the order of the Edo, they were sent back. Ahn Yong-bok and another Korean were detained at Oya Kyuemon’s house, while the local government heard about the Koreans from the chief retainer Arao Syuri and ask the Shogunate the instructions. On the 26th May, an express-messenger came from Edo, who brought an order to transport the Koreans under guard to Nagasaki. They left Yonago on 29th May and arrived at Chofu (鳥府) on 1st June. They set off on 7th June, with the guards Yamada Hyoemon and Hirai Jin-emon and arrived at Nagasaki on 30th June. The Koreans were handed over to the magistrate’s office of Nagasaki. Then, they were delivered to the messenger from Tsushima, Ichinomiya Kansukezaemon. On 14th August. They arrived at Tsushima on 3rd September. The lord of Tsushima, So, went to Busan with the envoy including the messenger Tada Yozaemon. In Busan, they handed over the two Koreans to the Chosun government and gave notice to inhibit Korean fishermen from invading Takeshima (Ulleungdo). The Koreans were left with 勝房 for a while, after that they were summoned to Tottori government. 勝房's 後見 Tobei went to the local government with sailors including Kurobei. While Koreans were on the way, they were tightly guarded. Both of 御組士 Mr Kano Yaemon and Ozeki Chubei went to Edo (or the local government) (出府), after the investigation of the Koreans they were put under the shogunate, that means the inquiry to Edo was completed (相済), then they became to being sent back. As details were written on another document, the rest is abbreviated. The Koreans were left with 勝房 for a while, after that they were summoned to Tottori government. 勝房's tutelage Tobei went to the local government with sailors including Kurobei. While Koreans were on the way, they were tightly guarded. Both of 御組士 Mr Kano Yaemon and Mr. Ozeki Chubei went to Edo (or the local government) (出府), after the investigation of the Koreans they were put under the control of shogunate, that means the inquiry to Edo was completed (相済), then they became to be sent back. As details were written on another document, the rest is abbreviated. By the way, I think this document is a record of his second trip in 1696 to Japan when he smuglled into himself. I just wanted to say that your index of articles has been very helpful for me. I had not been using it until just recently. Thank you, for your compliment. It's been very useful for me either since I don't have to dig our archives deeply anymore when I make posts and comments. And I'm very glad I could share it with you and pacifist. I think Enjoy Korea is the best place for you, not here. Mainly because you can use Korean over there and there are lots of Korean like yourself who selectively pick up some parts from the original documents to suit your story, which I don't like. The link to pacifist's that are related to the second visit of Ahn is here. The documents doesn't say Ahn went to Edo. Actually, they didn't. It only means the matter of this incident was passed to Shogunate and it depends on Shogunate decision now. In fact, Shogunate ordered Tottori han not to take him seriously and Ahn and others didn't even allowed to enter Tottori town(城内) after all. (This is proved by recent article by Ikeuchi Satoshi. I'll write about this in the furure.) But they were held outside the castle town and later directly banished away from Karonada, Tottori. This time, Tottori Han didn't take Ahn seriously and didn't even send them to Tsushima. And as you know, the lord of Tottori who Ahn claimed to have met were absent in Edo. Now, please answer to my question. This is the third time I ask you. We've already answered your question, so I believe it is your turn to answer my question. That's true, it was written after the 1696 incident but the whole translation is the same as I translated. Ahn was not sent to Edo. However, the feudal lord (of Tsushima) So worried about their negligence – they had not informed to Chosun yet the shogunate’s decision to ban to visit Takeshima. If Chosun would misunderstand that the shogunate agreed to Ahn Yong-bok’s request and banned to visit Takeshima, it would not only be a future trouble but also a big trouble to Tsushima because they would be excluded from the negotiations between Chosun and the shogunate. So, So Yoshizane (宗義真) dispatched a messenger Kashima Gonpachi to Edo, who explained the situation of Tsushima to Okubo Kaganokami and Abe Bungonokami of the shogunate. After the conference in the shogunate, they abandoned their plan to send the Koreans to Nagasaki to investigate and decided to send them back soon. Actually I want to quit this discussion, because I know , the discussion never end. I have one question. Japanese use Chinese letter now. but, Why cant`t Japanese translate a Chinese sentence well? 唐人 means [Both of 御組士 Mr Kano Yaemon and Mr. Ozeki Chube]??? Hey, Don`t you know 唐人? this letter 唐?? 唐 - It means Dang nation. But old Japanese called Korean people 唐人..
so this 唐人 means foreigner. [Both of 御組士 Mr Kano Yaemon and Mr. Ozeki Chube] were foreigner at that time? And you translated 唐人 to two korean in the head of translated article. Why did you translate 唐人 to [Both of 御組士 Mr Kano Yaemon and Mr. Ozeki Chube] in thie sentence?? 唐人 : the Chinese people. 江御 : Edo - order. 表御 : make clear that it is an order. 順 : kind or honest. and this book is recorded two korean including Ahn. 唐人 is a foreigner by definition. You still don't understand the text written in Chinese (and Japanese) letter. I didn't write 唐人 were Mr Kano Yaemon and Mr. Ozeki Chubei, 唐人 (original meaning was Chinese but it also meant foreigners) means two Koreans here. The two Koreans were put under control of the shogunate (Edo). That means (則), inquiry (穿鑿) to the shogunate （江戸表) was already done（相済). By and by (順々) it became （と成ル) to send them back (御贈帰). Didn't I aske you to read my post first? This it the fourth time. Does this mean you agree with me? OK, thanks. Are there any Korean scholar who claim that the sentence "唐人江府へ御引渡" means Ahn were sent to Edo town like you say? I don't think so. Actually, I've never heard of it. If there are, pelase let me know the idiot's name. "江府" in this sentece means the jurisdiction of Edo Bakuhu, not Edo town. Seriously, this is totally a waste of time to talk with you. I can see you don't have any Japanese knowledge but accuse us we don't know Chinese sentence? This is not Chinese, it's written in Japanese.